Belkin has announced the Australian availability of the Boost Up Wireless Charging Stand 10W and the Boost Up Bold Wireless Charging Pad 10W. 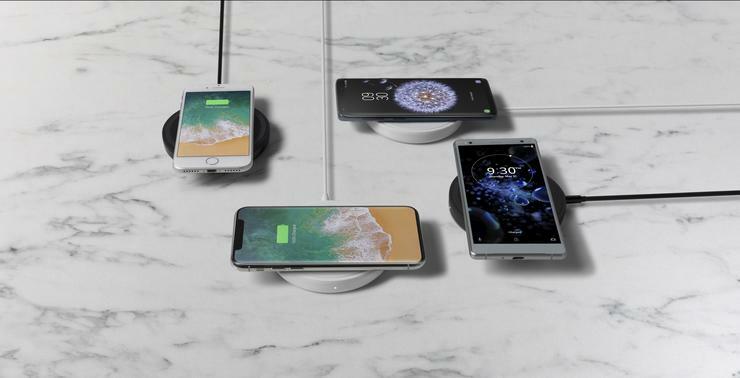 The Boost Up products provide universal wireless charging for iPhone x, iPhone 8/8 Plus, Samsung, LG, Sony and other Qi-enabled devices. The Boost Up Wireless Charging Stand allows users to charge in either portrait or landscape mode, and an LED light indicates whether the device has been correctly aligned. The Charging Stand charges through most cases up to 3mm thick and comes with a power adaptor. The Boost Up Bold Wireless Charging Pad comes in a variety of colours and is engineered to minimise the amount of electromagnetic noise to ensure full device functionality, according to Belkin. The Charging Pad charges through most cases up to 3mm thick and comes with a power adaptor. The Boost Up Bold Wireless Charging Pad 10W is available for $99.95 and the Boost Up Wireless Charging Stand 10W is available for $109.95 from belkin.com/au.